72 hour only! Limited time deals on electronics and accessories. 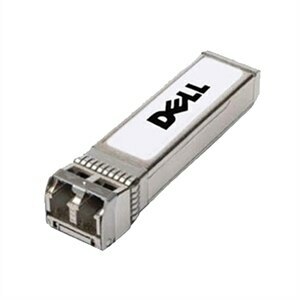 The Dell™ SFP transceiver delivers fiber connectivity to extend the range of your network. This hot-pluggable transceiver with SFP (Small Form Factor Pluggable) footprint features a Duplex LC connector. The Dell networking 1000Base-SX SFP transceiver provides 1GbE connectivity up to 550 m .
Additionally, it provides a unique enhanced digital diagnostic monitoring interface, which allows real-time access to device operating parameters such as transceiver temperature, laser bias current, transmitted optical power, received optical power, and transceiver supply voltage.